This material seems to receive the most interest and curiosity of any metal for up start Blacksmiths/Knife makers and for a very good reason! It’s cheap and really easy to get at any hardware store or scrap pile. I have basically explained how and when to use this material for blades (In my opinion) but I decided to get a bit deeper into the actual details with a post solely about this material. In ancient times iron weapons were very low carbon forged “Coal Iron” blades that were hammer hardened instead of quenching. 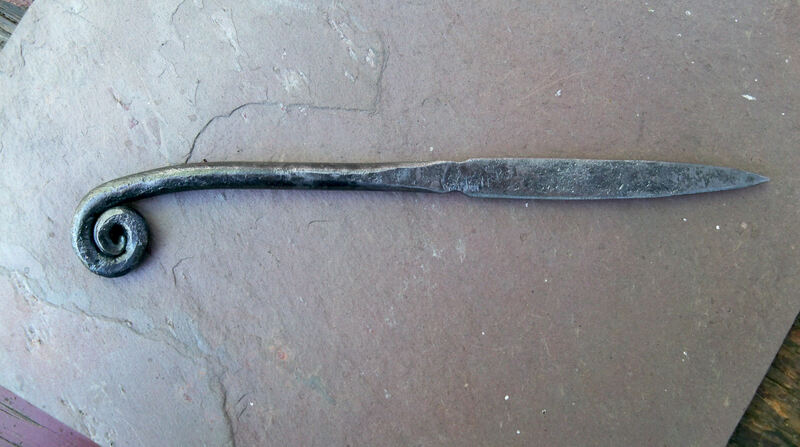 These blade had enough carbon to quench but the technique of hammer hardening was still popular from the bronze age materials. Essentially 1018 is the modern equal to this primitive iron in many ways. The carbon content is a reliable 0.18% and reacts to ancient iron techniques in a positive way but in reality is far superior to its ancient ancestor. It is durable, does not crack while forging, welds easily, hardens by water quenching, is easy to mill and does not require tempering. Yes you can make an prmitive iron knife from 1018 that is stronger, sharper and holds a better edge than a alot of bronze age knives. Yes You could even make a formidable primitive sword that would do great damage and be dangerous but the edge retention would be very low and bending during battle plagues longer pieces like a sword blade then and now. No you cannot make a modern utility knife from 1018 as the edge retention is too low. The problem with 1018 as a blade steel is that the carbon content will cause it to harden but it in thin pieces can only achieve 42RC. The average knife is 52RC or higher. When forging a flat piece you may achieve higher carbon through the process of case hardening as the steel absorbs more carbon as it heats at high temperature but using this technique is only so successful. After quenching 1018 it will harden and be tough to bend and grind in your shop, the durability is extremely high which is a net positive in most uses. So this the data available from me regarding this type if steel but I say use it for Athame and ceremonial pieces because it, in its own right has good features with durability and ease of forging for decorative and symbolic work. Iron is in fact a sacred metal in Norse culture and believed to ward off evil. Hope this helps better explain 1018 because I know how it’s availability makes it very tempting to the beginning Smith. The above gallery are all 1018 creations and were very enjoyable to make. The French nail is actually historically accurate because French soldiers often fashioned them from mild steel L bolts. This entry was posted on July 18, 2012 by .. 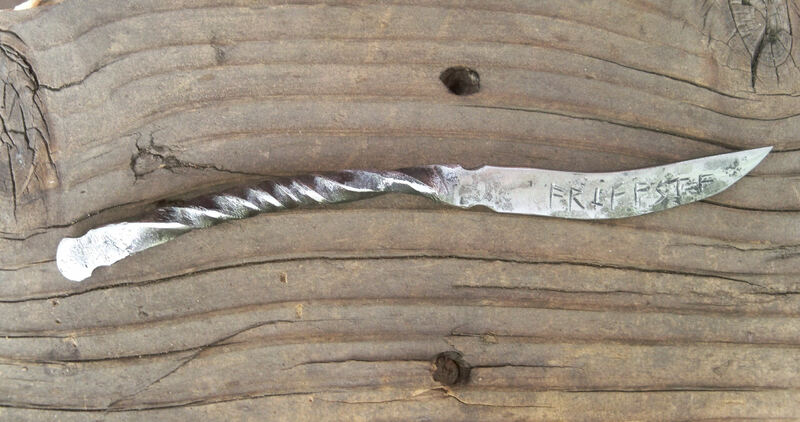 It was filed under Knife making-Blacksmithing and was tagged with 1018, 1018 steel, Blacksmith, forging, iron knife, iron weapons, Knife making, low carbon, mild steel, scrap steel.